Halloween has come and gone, and it seems like overnight the holiday season is upon us. With the biggest gift-giving season less than two months away, it’s never too early to be looking for gifts and shopping for deals. If you’re looking for gifts for the hard-to-buy-for, the tech-savvy, or the one-who-has-everything, or even looking to flesh out your want list, then head over to TNW Deals and take a look at the awesome deals available. There are quite a few deals on the site, but I went looking through the site myself and found some pretty awesome deals on gifts that are sure to make your friends or family happy. The Striker Spy Drone comes with a built-in HD camera capable of filming for up to 30 minutes or take up to 50,000 photos from way up in the sky. It’s light but hardly plastic shell encases an internal gyro that helps ensure the smoothest flight no matter what tricks you throw at it. If you have a friend or family member that is really into photography, video, or simply just wants to fly a really cool-looking drone around, the Striker Spy HD-Camera Drone is a great option. Over on The Next Web Deals, you can get an early start on your holiday shopping and save 58 percent off of the retail price (with free shipping)! Get it in time for the holidays for $69.99. Is there a music lover in your life? Help them listen to even more music at a superb quality with this pretty neat waterproof Bluetooth speaker from Roxon. This little speaker packs a punch. It’s encased in a rugged, portable, and waterproof body, so you can take it anywhere and listen to up to 12 hours of music. It comes with a nice clip so it can hang anywhere. The speaker can also handle phone calls as well. It has a built-in mic to allow for hands free calling, and connects to your phone using Bluetooth 4.0 technology. You can get the Roxon Waterproof Bluetooth speaker for the music lover (or adventure lover) in your life just in time for the holidays. The speaker comes in either blue or black and is available for $39.00 (that’s 50 percent off the retail price). For the person who has everything, I bet they don’t have this. The Holi SmartLamp makes a great gift for someone who seems to have everything and you just aren’t sure what they want. With the Holi SmartLamp, you can set the mood however you would like. It’s capable of producing millions of color combinations at a brightness of 500 lumens. Set it to help you sleep at night with sunrises and sunsets or sync it up with music via Bluetooth to create an awesome light show. Not only is the color pretty impressive, the design is very nice as well. The design of the lamp is an eye catching piece that allows it to work with any existing home decor. Get that hard-to-buy-for person off of your worry list with a great deal on this Holi SmartLamp over on The Next Web Deals. With free shipping, this gift can be to you before Christmas for $149.95 (that’s 24 percent off of the retail price). Know of a friend or family member that just can’t keep their devices charged as they go about their day? The Next Web Deals has a great deal on this external battery from Danboard. No longer do you need to search for a plug to plug in your device as you are out and about and need to stay charged. Simply charge this external battery every night and carry it with you. It provides enough battery to charge an iPhone five times before it needs to be charged. The battery itself comes with some impressive features, like being able to charge two devices at once with a dual USB output and comes with a convenient carrying pouch. The battery also has nice safety features that prevent it from damage, such as automatic shutoff if it over discharges, over charges, or gets too hot. Make sure your friend or family member never goes without a dead device again. The Next Web Deals is offering a nice 35 percent off deal for this external battery at $44.99 with free shipping. For the creative in your life, I’m sure they will not mind at all to have a 3D printer in their pocket, ready for use at any moment. The 3Doodler is the world’s first 3D printing pen, and is sure to be one awesome gift. With the 3Doodler 2.0 3D pen, you can draw anything you want in midair. It quickly warms up and lets you know when it’s ready to go. There’s two temperature settings, so you can use it with different types of refills. This particular bundle is great because it comes with everything you need to get started. It comes with the pen and 125 strands of plastic in 25 different colors. Use the 3Doodler 2.0 to draw fast or slow, or even reverse. The Next Web Deals is offering this bundle for $129.99 and ships for free. 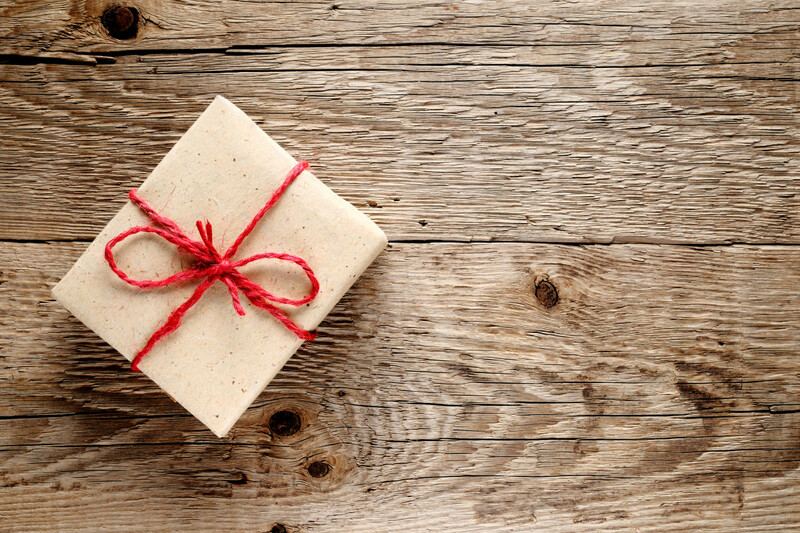 With the holiday season closely approaching, get a head start with these five awesome gifts. These gifts are ready to be shipped to you just in time for the holidays, all while saving you some money in the process. TNWDeals is the marketplace for digital tastemakers. Get distinctive apps, gadgets, and digital resources at up to 90% off.